Hello guys! Let's talk about beauty today. 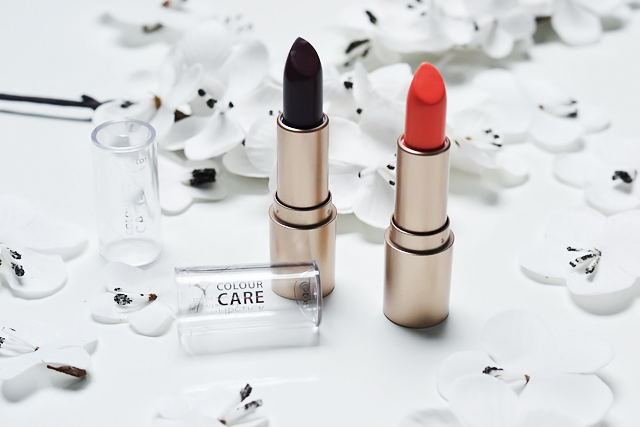 I bought myself two new lipsticks after reading some articles about the new Colour care lipsticks from Etos - a dutch drugstore. I hardly wear lipstick cause it fades way to fast, I can't eat and drink without ruining it and it takes more time because of my piercing. Excuses enough I guess. But still I own a few ones and sometimes I wish I had more colors and that's why I went to Etos for some budget lipsticks. I went for the colors Kings Kisses and Park Diva. 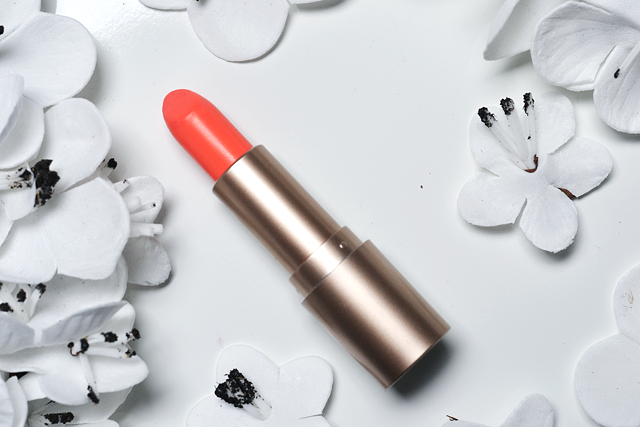 Kings kisses is a peachy-orange color. It's the first one I bought because it looks like a great color for summer. 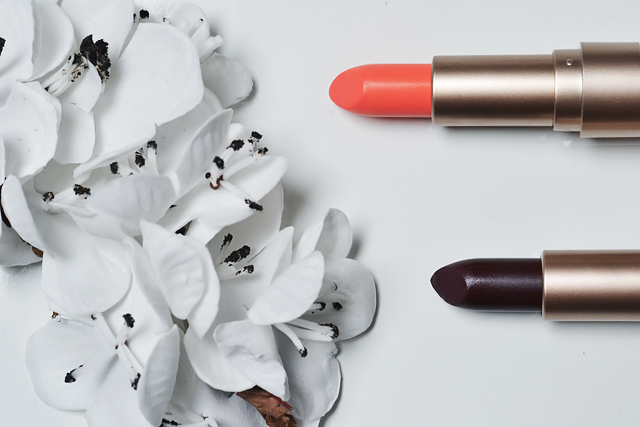 It applies very soft and easy which is a good thing but this lipstick definitely accentuates everything on my lips. A lip scrub is a must before using this one. It's also lovely color however I think it's a bit to bright for me in combination with my white hair and blue eyes so I'll probably use it with a darker lipliner underneath. 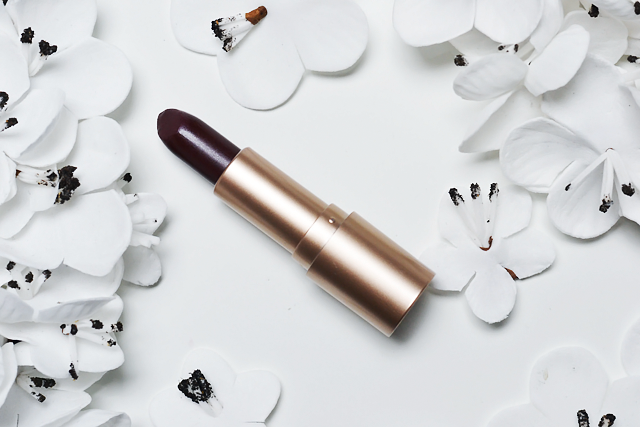 The second color is Park Diva, a dark lipstick. My first dark lipstick, exciting! I wasn't sure about this color so I did some research on google for people with blonde hair and dark lipsticks but surprisedly it looks great! 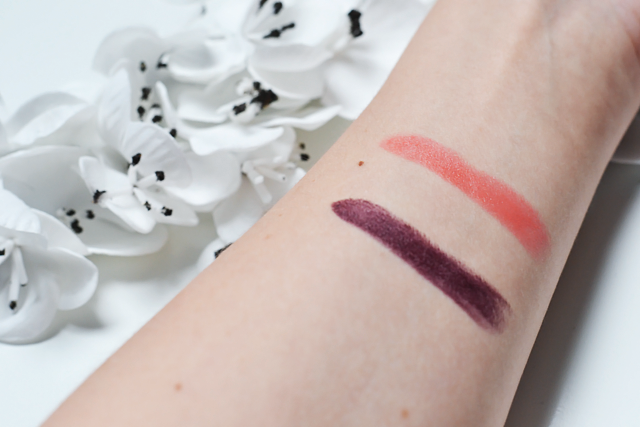 At the first side the lipstick looks very brownish but when I swatch it on my arm it looks more purple and when I try in on my lips it has a red undertone. Magic color if you ask me haha. 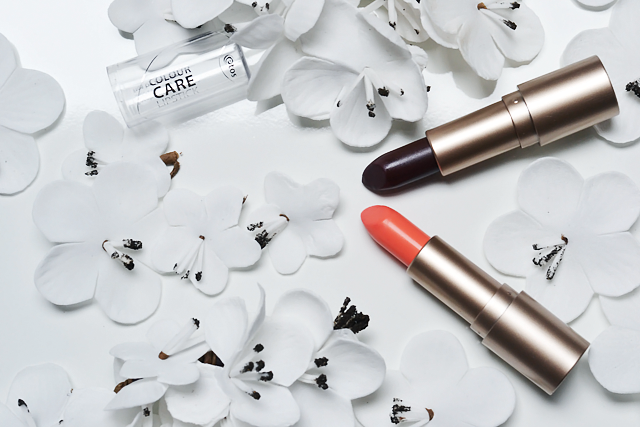 It feels different than Kings Kisses, less soft and not that creamy but still very easy to use and with good pigmentation. This one feels like it will last longer than the other one. I'm glad I took the risk for this dark color! They're not the best lipsticks but for a budget price of 3 euros they're more than good enough! I don't think I've ever had better ones for this low price. Did you already tried them? And do you own a dark color?